When playing an acoustic guitar, the strings vibrate, and their sound is naturally amplified by the hollow, wooden body specially designed to be as acoustically as efficient as possible. You do not need any effects (even though pedals can be used with acoustic guitars) and, unless playing before a larger crowd, you will need no artificial amplifying for your sound. However, the electric guitar has a solid body which does not amplify the sound of a vibrating string too much. To create a signal which is then increased, the electric guitar uses pickups which generate a magnetic field. As the strings are plucked, they vibrate and alter this field, creating an input signal which is then sent to the amplifier. While in the early days, electric guitars were only amplified and whatever distortion or overdrive you heard was a direct result of the volume of the speaker, it wasn’t long before people realized the overwhelming potential of the electric guitar. Thanks to its working principle which relies not on natural amplification but on using magnetic fields to create a signal which is then transformed into the sound, you can modify and modulate the signal wave in any way you want. The pedals were first developed as blues guitarists would turn the volume up to be loud and easy to hear, but in the process, the amplifiers were damaged and the signals heavily distorted. In time, they started liking this harsh sound and decided to replicate it. In those early days, only a few effects were available, and most were natural consequences of the working principle of guitars, amplifiers, and speakers. 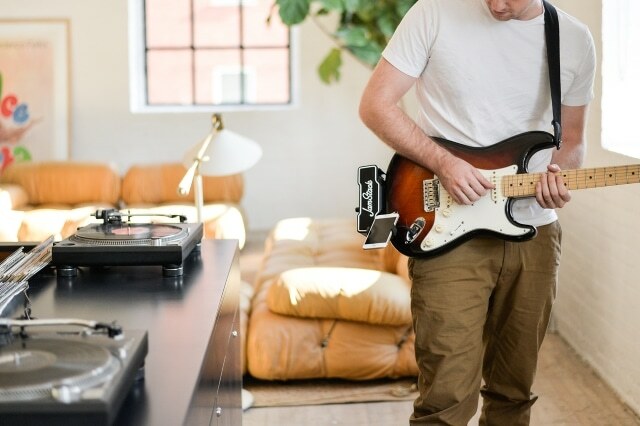 Since those early days, effect pedals have changed a lot, and their evolution led to the invention of many different models, each with its features and advantages. These days, even the cheapest guitar processors have more than ten different built-in effects, and guitar effect pedals are of such a wide variety that this article right here cannot cover them all. The overdrive pedal was one of the first to be developed. It was created because guitarists wanted to replicate the distorted, grungy sound of an amplifier at maximum volume without having to crank it up. After establishing this effect and given its massive popularity amongst guitarists, the musicians and sound engineers in those days decided to take it a step further – this way, the distortion pedal was created. It is an overdrive on steroids, as it clips the wave even more, creating the specific sound that rock and metal guitarists rely on. Other examples of popular electric guitar effects include the reverb, the delay, the chorus, and the wah pedals. All of these were designed to help musicians create richer sounds, which were more expressive and could be used for better compositions, enhancing their melodies and making them more interesting. In time, other pedals were developed. Loopers are useful for those who rely on improvising to create a tune and also for beginners learning to develop more layers or to improve their timing. Tuners are helpful especially when playing live, as it would be challenging to tune your guitar without them. Flangers, fuzz pedals and noise gates are somewhat more modern and often used in heavier music. Overdrive and distortion pedals are so intensively used by rock musicians that we have come to associate the sound of these effects with the music genre. They are fundamental to almost all songs ever written by such musicians, either famous, worldwide known, or small underground bands playing before their friends in a cellar. One effect pedal hugely popular in rock music is the wah pedal, which was invented by mistake as a sound engineer experimented with a rotary potentiometer and discovered the wah-wah effect. It was so loved in the 70s and 80s that almost no famous band left it aside. The result can also be heard on many Metallica solos, as Kirk Hammett employs it often even in newer tunes. As rock music evolved, more and more effects started being employed. The glam scene relied on a lot of pedals, some not so common back in the day – flangers, choruses, and delays began making it to the mainstream, as the music got more and more complex and diverse. 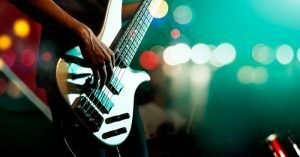 These days, in the modern rock scene, genres such as post-rock, which have an atmosphere one cannot ignore, use a lot of reverb, delay and chorus. These effects, when put together, can create the so-called wall-of-sound, which is a landmark of some favorite groups. With a heavy distortion and intensive processing, new musicians have discovered ways of making their sounds even more expressive than before. An effect which significantly increased the quality of the recordings was the compressor. It is used to generate signals with the same amplitude – these will have the same volume, and notes which could be left behind in the mix because of overdubbing are brought back to the front light. Furthermore, it permits guitarists to have increased sustain, beyond the physical possibilities of their instruments. 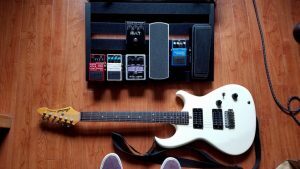 Depending on what genre you are into and what bands you like, you might find more specialized effects we did not cover in our article. Given the ever-increasing number of different signal alteration methods, you will always find something new or unheard of being used in modern music.